Our convertible Nylon Convertible Pool Lounge features a super heavy-gauge PVC bladder on the inside, covered by a rough nylon fabric exterior. 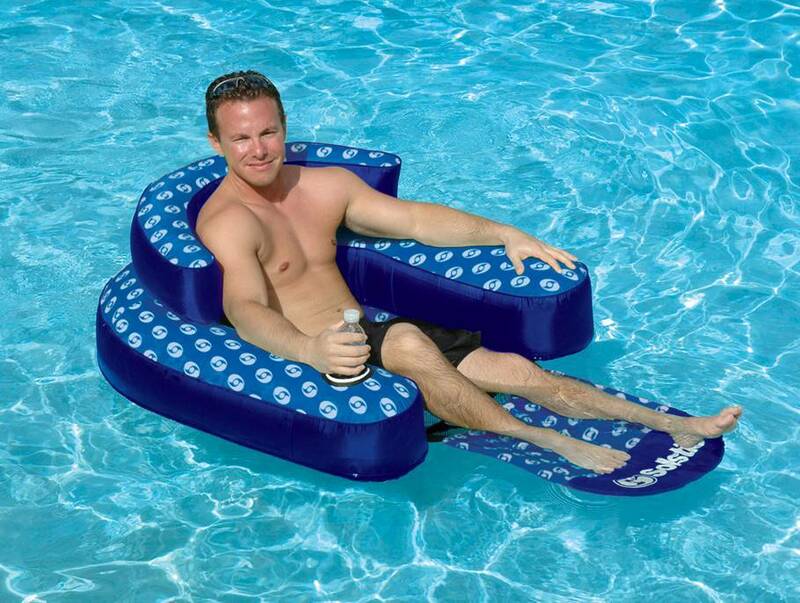 This combination results in a float that is very comfortable and rugged. The exterior nylon fabric also protects the lounge from the cuts and concrete scrapes that puncture cheap inflatables. 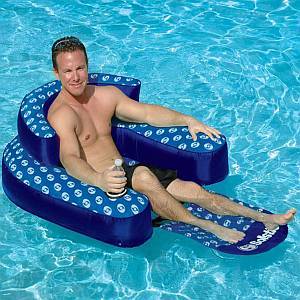 Not only is the lounge a float, but it also doubles as a comfortable chair outside of the water. One armrest has a built-in drink holder to keep drinks cool. Measures 58 inches x 38 inches x 15 inches.